Salutations to Lord Ganapati! The favorite form of the Lord for millions of people. Today - BhAdrapada Shukla Chaturthi i.e the fourth day of the bright half of the lunar month of BhAdrapada - is a day specially sacred and favorable to devotional/meditational practices to the form of the One reality called Ganapati. Religious ceremonies in India commence today and go on for 10 days. 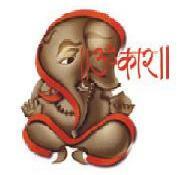 Starting today over the next few days, will cover lesser known facets/legends/incidents associated with Lord Ganapati. These posts are a combination of what my teachers taught me, some from what i've heard/read and my own thoughts. 2) Ganesa Kosha by the great Sri S.K. Ramachandra Rao. 3) There was also a nice book by Chinmaya Mission which i had read many years ago but do not recall the title. The Puranas give many versions on how the form of Ganapati came to be. But mythology apart (not that it is unimportant), the form of the Lord is a concrete visualization of Reality (parabrahman). And this makes sense since the seers had recognized that it is not possible for all to concentrate on a formless Reality. The beauty of Ganapati's form is that it is what one may call 'multi-layered' - it reveals Itself depending on the spiritual outlook of the aspirant/onlooker. I. For some religious historians, the form represents it's agrarian root for eg. the large ears are seen to be a representation of winnowing baskets, the rat as vehicle is seen to be representative of control over pests etc. For me, the more appealing way to approach the form is from an esoteric viewpoint. That may be due to my traditional leanings but i also feel that is the 'correct' way. 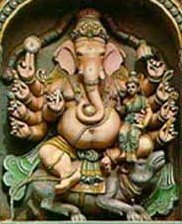 Thus a person medidating on Lord Ganapati sees Him as a manifestation of the entire Universe composed of the five elements. Of course, in time the aspirant goes even beyond the elements. The reason i've coloured the base of the above diagram red is that that is the traditional colour of the earth element,specially governed by Ganapati. Not only that, red is also the colour of the four petaled 'lotus' representing the basal Muladhara Chakra, one the seven spiritual 'plexuses'. And the presiding diety of the Muladhara Chakra is Lord Ganapati. That is also one of the reasons Lord Ganapati is worshipped before any other worship/act is commenced. He represents the 'base', the starting point of it all. Every act, if viewed as a spiritual aspiration, must culminate in the realization of non-duality. The grace of Lord Ganapati is required to 'kick-start' this process and destroy obstacles along the way. Also note that much of the traditional worship of Lord Ganapati is with 'Red' - Red form, Red flowers, Rakta Chandana (red sandal paste). Again, the 'Muladhara' and 'Earth' angle coming through. There are further esoteric explanations when this line of thought is pursued. But this is best learnt from one's Guru (definitely NOT from cheaply written books) and hence is not covered here in this post. For example, note the connection of Ganapati and the earth element with the Puranic story of Ganapati formed by Mother Parvati(Earth) out of her own body. The Omkara form is important since 'Om' itself represents the entire range of sound. I have not found a better explanation of this than by Swami Vivekanada. This is the reason therefore why Lord Ganapati is the presiding diety for writers and poets. Indeed He is the patron diety for all learning. V. That the spirit of the Form is more important is evident when we see that in the daily orthodox worship, Ganapati is worshipped in a red stone obtained from the Sonabhadra river - and not in any of the forms above. Moreover, there are numerous forms of the Form. Some texts describe 32 forms , some 16, some 8, some 12 (all multiples of 4). Some also describe 21 forms - the significance of 21 will be described in a later post. Here it is important to note the work called Sri Tattva Nidhi, commisioned by Sri Krishna-raja-Wodeyar III (1794 - 1869). This work contains 32 coloured illustrations of Lord Ganapati along with the Dhyana Slokas (medidation verses). The Dhyana Slokas adhere to the ones given in Mudgala Purana - a purana centered around Lord Ganapati. Of course, this was at a time when rulers cared about culture. There is more on Lord Ganapati's form which will be covered in tomorrow's post. I must say, Hinduism is a wealth of knowledge that is not possible for a person like me to understand and absorb in a lifetime. > not possible for a person like me to understand and absorb in a lifetime. i never knew about the five elements. that diagram made me go "actually yes!" i remember the milk drinking phase. 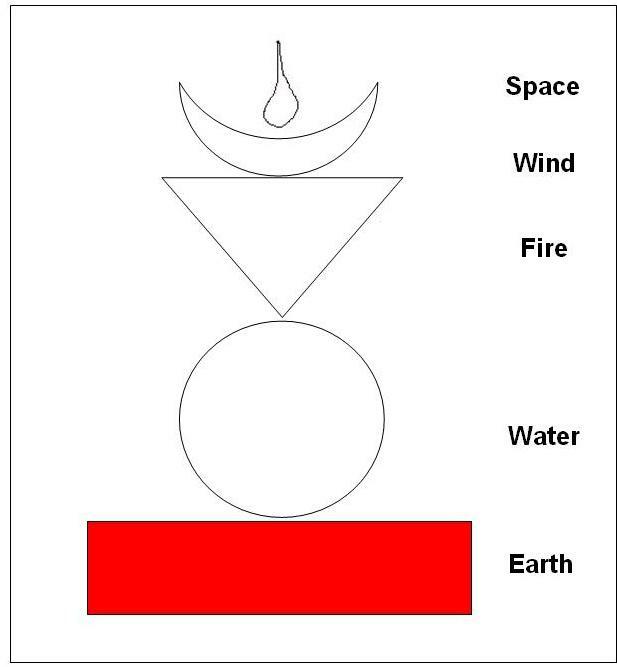 Sharan: Kindly explain why the symbols represent what they represent (red rectangle = Earth, and so forth...). OR are these associations arbitrary? Well, that comes straight out of the visual of the element. For example, what comes to mind first when someone thinks of fire? So how would one represent that without complicating matters too much? An inverted triangle to represent rising flames. Important to note that the icon developed out of the symbols and not the other way around. Also, these symbols are standard in Hinduism for what they stand for. I'm sure you're thinking - what the hell is this person? I dont still get the other symbols. Kindly explain. Again, for the Fire = triangle and Water = Circle (through the shape of the pot - top view?) symbolisms: it seems possible, but I for one wouldn't have come up with those geometric shapes. > I dont still get the other symbols. Kindly explain. > though the shape of the pot - top view? Whether top or sideways, what happens when you see a pot? How could you visualize it geometrically in a simplified fashion? Wouldn't a circle be apparent. > but I for one wouldn't have come up with those geometric shapes. Sure. But why are you expecting to do so? Or are you saying that symbolism should be instantly recognized by everyone? 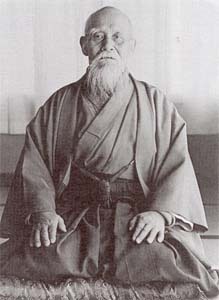 It does require contemplative thought and in the more complicated cases, guidance by a good teacher. It's like art. The meaning of many symbols comes alive when one contemplates on them. But at the end, like the Zen saying goes(so well delivered by Bruce Lee in Enter the Dragon): "Please do not take the finger to be the moon or fix your gaze so intently on the finger as to miss all the beautiful sights of heaven". oh! so that's it! Anyone who studies philosophy is using intelligence in a ridiculous way...or am i getting you wrong? That's a nice way to do it. But what works for me is not get into a discussion at all in the first place if i see there's not going to be any learnings for the parties involved. Or the discussion is an attempt to disparage. No. ...and the worst ones are those endless ping-pong matches which end up in considerable waste of time and bad blood. I get into these at other blogs only if i feel someone is being grossly unfair. Sorry if I had confused you with my way of writing. I meant how intelligent people use their intelligence to come up with ways of "controlling" others or "put down" others when it is uncalled for or "invent" things that are harmful to the entire earth etc. Which is why i thought i'll clarify. Honestly, i'm sick of people wasting time with hate rather than spread goodwill. The way 5 elements have been depicted here are amazing..I saw this for the first time and understood well. [came to your blog via. your comments on Acorn]. Good comments and great blog and great post. I would suggest you to read, if you have not already read, the beautiful book on Ganapathi: "Ganapathi Song of the Self", ISBN: 0791424405. He gives great anecdotes and equates Ganapathi to Omkar and Ganapathi to Brahman/Atman. One such anecddote is here. Thanks for your kind comments, Amar. Thanks also for the reference to "Ganapathi Song of the Self" - will try and get hold of a copy. Am now heading over to your link!